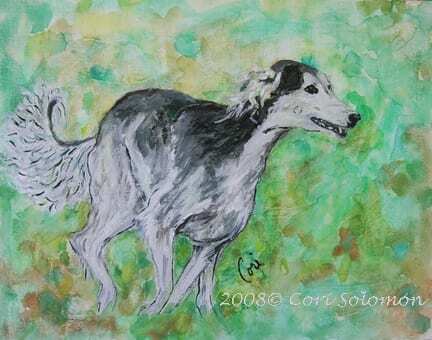 This acrylic painting depicts a grizzle Saluki named Parker running in a field. The smile on Parker’s face shows that he is very happy running. This painting is available as a tile coaster.